Feeling like you're not getting enough of Cosmic Supremacy lately? But your busy schedule means you can only join 4-hour turn galaxies? Then come join the Double Play WO Galaxies here and here by Sunday, January 8th, and play 2 galaxies simultaneously! Both galaxies process ticks at the same time, meaning you won't have to check in on different occasions throughout the day to play both galaxies. Each of the two galaxies will have their own unique settings - set up by different players coming from different eras of the game. So if you're looking to prove you can be a cosmic supremo regardless of galaxy circumstances, this is the golden opportunity. For players who sign up for both galaxies, the aggregate winner - based on the best joint position over both galaxies - will be crowned champion and get to use a 'King of the Universe' avatar in the forums. That's free bragging rights! At least until the next pair of double play galaxies come around. The signup period for the September War Only Galaxy has been extended a couple of days for more players to join. The galaxy will now start on Sunday, September 25th. 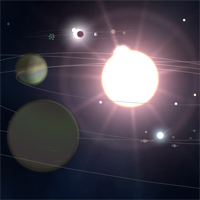 This galaxy is vast - 72 star systems, 216 planets in total, so there's plenty of space for everyone to expand and grow before the real fights begin. Furthermore, a low-ish tech modifier also means technology is easy to come by. Compounded with juicy planets and high planet per empire ratios, get ready for some massive capital ships battles coming this galaxy - maybe even enough to blast through the most stubborn of HSE defenses. So if you find the settings interesting, feel free to drop by and get ready to wage all-out war against other cosmic supremists. Good luck! To join ranked galaxies, you need to gain at least a total of 15 fame points (i.e. at least rank 1). Fame points can be earned by finishing unranked galaxies, which open about every 9-12 days. For the first time ever in Cosmic Supremacy, we will see galaxies that have their diplomacy features turned off in a free-for-all game, adding variety to the choice of galaxies we can set up for the community. So if you would like to prove that you have what it takes to be a cosmic supremo based on your tactical nous rather than your diplomatic skills or wheeling and dealing ability, sign up for these galaxies and show us what you've got. 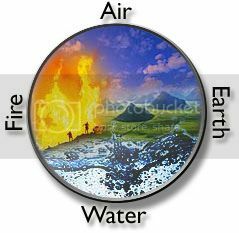 After Water and Air, we are preparing the third Team Galaxy dedicated to the four elements, and now it is time for the Earth TG. We had Japanese crabs fighting Sea Monsters and Planes fighting Raptors in those previous matches, and we can only wonder what our fertile imagination will bring up for the upcoming one. In traditional CS Team Galaxies (like this one), the players are distributed in two balanced teams, each team is located in opposite sides of the galaxy, and they fight it out until one side is found victorious. Teamwork is managed by the most experienced players of each Team, with the basic in-game chat being used for simple communication, and the Private Forums (one for each Team) for more detailed discussions. Some players are already joining the sign up list that is currently being managed in the General Forum, and if you wish to be part of the fun that is where you should begin! Try your Luck on Friday the 13th! Set to start on the ominous Friday the 13th (November 2015), the Lucky Charm Galaxy is the breath of good luck in the darkest of days! Good Angels, friendly leprechauns, the freshest four-leaf clovers, horse shoes of the finest omen, the albatross sailor's aid, the ladybug legion... all present to spread the best of luck throughout the galaxy! All the lucky participants will be served with an assortment of fine planets, with four orbiting each of the 75 stars (5x3x5 distribution) - just like the leafs of the lucky clover! And with corruption at half effect, expansion and conquer are more rewarding than usual. Featuring 4 hour turns that allow a good level of participation even with a couple of logins per day, the Lucky Charm is hoping to enlist a good number of adventurers that would be willing to try their luck. Be one of them, and join now! 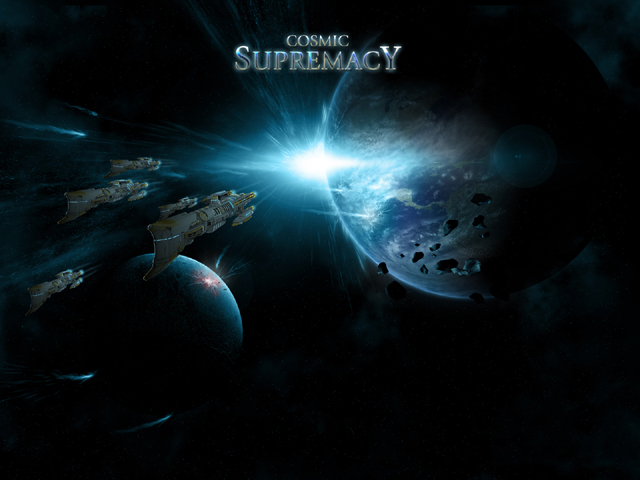 A full match of Cosmic Supremacy, to be completed in 21 days! The Zebra Galaxy is now open for sign up, to start on the 12th of October. The galaxy has a fast pace, and a fixed duration of 275 turns, with the first 50 ticking at 60 minutes, and then every 2 hours - which means the galaxy lasts 3 weeks. Featuring medium size planets with very rich commodities, an HQ starting with already 25 citizens, 15 initial colony ships, and cheap research, this match will quickly pick up speed. And with such unusual settings in terms of duration, it is very possible that you may need a brand new strategy in order to reach Supremacy. 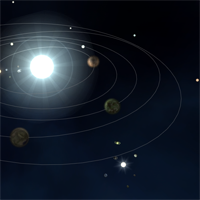 Featuring only 2 planets per system, but very large, rich planets in 216 systems, the Planet Shortage Galaxy is opened for signup, with ticks starting Monday, September 28th. That's 512 planets all with 80 population and 50 food, production and science packed in small sector sizes of only 200 units. Players also start with a fully populated HQ and 20 colony ships from turn 0, making colonisation really quick at the beginning. The Technology Cost Multiplier of only 200 means technology is easy to get and a Reputation Multiplier of 2 should make for some interesting "Who do i go kill next" decisions. 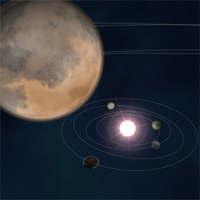 Would you choose to colonize lots of planets and fully develop your planets before going on the offensive? Or would you find the players who are growing early in the game and attack them before they have a chance to fully grow their planets? Sign-up and come join the fun. The Humongous Galaxy, a galaxy mirroring the Macademia Nut Galaxy, opens this Sunday, August 16th. That's less than 24 hours away! Like the Macadamia Galaxy, it has large swathes of space for empires to cover, but is very different in the way tick times are scheduled. The story behind how these 2 galaxies could be so similar, yet have such fundamentally different concepts of time, has yet been explained by Cosmic Supremists. Would you join these galaxies and have your take on the cause of the phenomenon? Meanwhile, for those folks with real-life commitments, the 7th edition of the Galaxy of RL people is starting ticks on Friday, August 28th. The galaxy features juicy stats, but low planetary space. Technology costs are also super cheap, but colony ships will more than usual to build. With 6-hour turns, and 3-hour faster start ticks, would this help you juggle RL and your CS interests? To join ranked galaxies, you need to gain at least a total of 15 fame points (i.e. at least rank 1). Fame points can be earned by finishing unranked galaxies, which open every Wednesday (unless otherwise stated). The Macadamia Galaxy is now open for sign up! All ranks allowed! It is our fourth galaxy in the nuts series, featuring Batched Ticks, which are packed to run during a few minutes every day (12 turns in 24 minutes). Players cannot log in while the batches are being processed, which means that activity is evened up and that you only need to log once per day to take care of your stuff. Although you can still manage your Empire by hand, the good use of governors and admirals can make a good difference. By mastering them into performing automated actions, you will eventually be able to control most of what happens during the batches - or else go nuts while trying to do so! 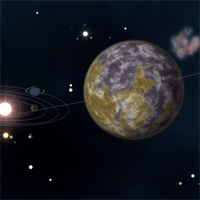 The Macadamia features big spaces between systems, a massive number of big and rich planets, and a fixed duration of 700 turns. It is set to start on the 16th of August.